Thitikorn Clinic Lat Krabang combines the experience of the doctor with modern medical technology, as well as an assortment of cosmetics and care for the whole beauty. All our patients get impressive results after our treatments. Our key concept is creating beauty and slow down aging process using various innovative clinical devices. Dr.Thitikorn has been continuously studying and practicing the brand new medical technologies. For over 10 years, using the commitment and experience of Dr.Thitikorn and Mr. McCrary, we ensure our patients get experienced medical consultation and treatments based on caring and professional standards. The prices for cosmetic and plastic surgery in Thitikorn Clinic Lat Krabang are presented by the surgery clinic owner or administration. Bookup Asia is a booking service and it has various terms and conditions of partnering shops and clinics. Nose, eyelid, breast surgery cost in Thitikorn Clinic Lat Krabang may differ from the minimal price due to the volume and complexity of work provided by the surgeon and the implant or material brand used for the operation. 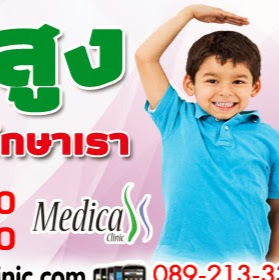 Thitikorn Clinic Lat Krabang discounts are limited in time and are set depending on the terms of promotion campaign.